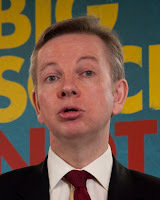 Michael Gove, the Education Secretary in England, has a well-known dislike for the GCSE. Yesterday, he announced plans for its abolition. announced plans for the English Baccalaureate yesterday. If the name English Baccalaureate rings a bell, it's because it already exists. The EBacc is currently a system used to measure the performance of schools, using the results of pupils in key subjects. Now the EBacc is to become a formal qualification. The EBacc will be introduced for core subjects (Maths, English and Science) from 2015, with a staged introduction for other subjects. It will be based on a final exam at the end of two years' study. There will be fewer resits, no modules and no controlled assessments. All marking will be external. There will be one exam board per EBacc subject. Exam boards will bid for the right to run an EBacc in a particular subject for a five year term. The Liberal Democrats appear to have had a minor success by persuading the Education Secretary to drop his plans for a two-tier system, which would have been a throwback to the days of O-Levels and CSEs. The Welsh and Northern Irish devolved governments now have a big decision to make. They may decide to follow the English lead and create new Baccalaureate exams of their own. Alternatively, they could stick with GCSEs. This approach would risk giving pupils a qualification that has been deemed to be lacking in rigour in England. One head teacher in Northern Ireland I have spoken to has already said they would consider using qualifications offered by English exam boards.